1. Prepare your Hempe according to the instructions for Buffalo Tempeh, found in The Mello Cookbook. 2. Add the buffalo Hempeh, follow your heart cheese and pickles to your sourdough bread. 3. 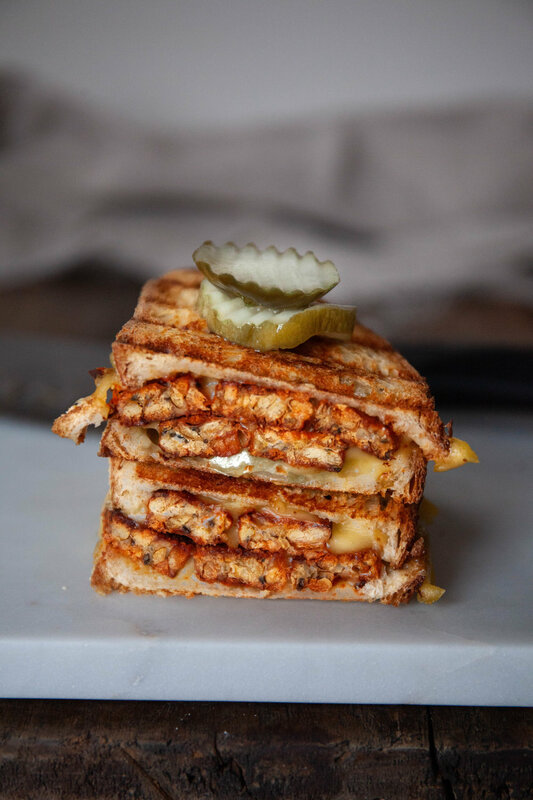 Cook on a panini press or a George Forman grill until the cheese melts. 4. Enjoy with additional buffalo sauce, vegan blue cheese or BBQ sauce!